Finding a removals company that can cater to all your needs can be a difficult task. Some companies may offer you transport and packing materials, but fail to deliver in the service that they claim to provide. Well, at Moving Service we promise to deliver you a quality service and strive to make the stressful experience of moving a house as easy for you as possible. We have been helping families move to Ealing, W5 for many years, to get settled into their new house and begin enjoying what Ealing has to offer. 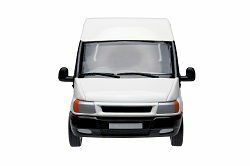 Our removals services in Ealing include the best form of transport available - man and van, in order to bring your possessions to your new house at a time and date that suits you. All of our state of the art moving vehicles are highly specialised to make loading your furniture into the vans as easy as possible. They are equipped with various lifts and ramps so that we can get your items moving to your new house quickly and efficiently. So, don’t hesitate and phone us now on 020 8746 4402 and one of our friendly team members will be waiting to take your call. 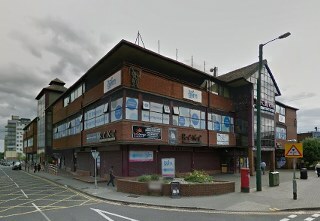 The area is part of the London Borough of Ealing and is a large residential area in Greater London. It falls under the W5 and W3 postcodes. The area is popular choice for many families and young professionals who want to feel part of a community but don’t want to be in the centre of a busy city. The area has fantastic transport links into central London, with a number of underground stations providing a direct route into town. South Ealing station can get you to Leicester Square in a little over 20 minutes on the Piccadilly line, and to Heathrow airport which is about 7 miles away. The main shopping area is at Ealing Broadway, which has plenty of supermarkets and restaurants and the Ealing Broadway shopping centre where you can find everything that you need. There are plenty of busses that run along the Uxbridge Road through the area and the shopping areas and can take you to Hammersmith, White City and Southall. There’s an abundance of parks and open spaces in the area, from the smaller Blondin Park, to the larger areas of Lammas and Walpole parks that hold regular events such as food tasting and comedy festivals. So, now that you’ve been thinking about moving to Ealing, W5 let us help you get started. Our team of experienced movers and handlers will deliver to Ealing from anywhere in the UK, and will safely pack and secure your items into our moving vans for arrival at your new house at a time and date that suits you. In addition to our transport services, we can provide you with packing materials, such as boxes or containers and packing tape so that you can begin to prepare for moving day. Our removal services across Ealing also include the use of our storage facility, where you can keep your possessions safely in a secure unit for an agreed length of time if you require some extra space. With Moving Service you don’t need to go anywhere else to make your house move in W3 area successfully. For our additional services and other hints and tips when it comes to preparing for moving a house around W13 area, take some time to look at our website which is packed with information for your benefit, or give us a call on 020 8746 4402 and speak to one of our friendly customer service representatives who will give you a free quote. Best removal company in Ealing W5. Thanks again!